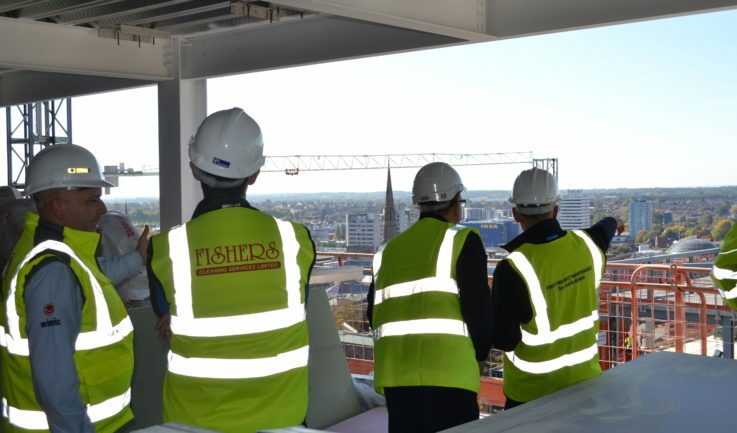 On the 9th October 2018 Winvic invited members of the Charted Institute of Building (CIOB) to take a tour of the tallest new building to be added to Coventry’s skyline, a 1,192 bed student accommodation development on the corner of Fairfax Street and Cox Street. 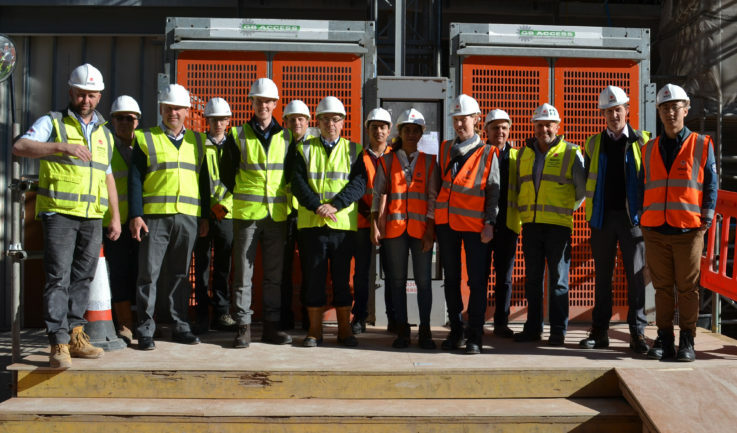 CIOB Members in the Midlands jumped at the opportunity to gain an insight into the work being undertaken on the 23 storey building currently under construction for student accommodation providers CODE. 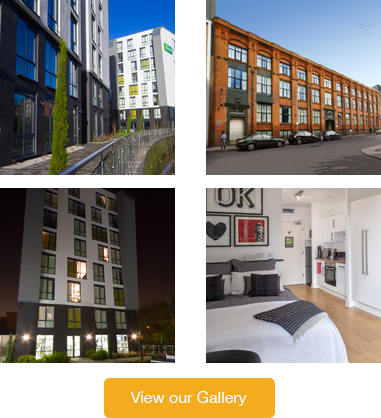 CODE Student Accommodation awarded Winvic the contract to build the scheme in October last year and recently celebrated the handover of the first 315 bedrooms, gym, laundry and office facilities which are already occupied by students. 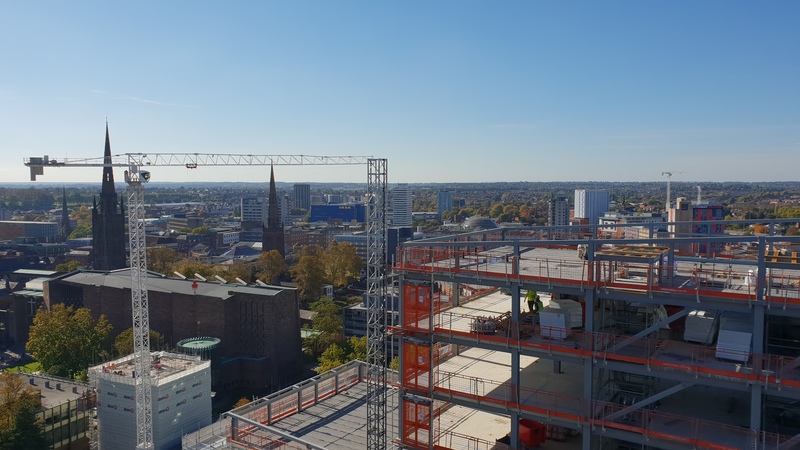 This delivered phase of the project comprises one 14 storey block and, when completed, there will be four interlocked blocks, of 17, 20 and 23 storeys, making it Coventry’s tallest building. To achieve the build, two tower cranes were brought in to complete the job, measuring 85-metres-tall and 75-metres-tall, the largest tower cranes ever managed by Winvic. A further 877 beds, a gym, cinema, open plan communal spaces, landscaped rooftop terrace and three ground floor retail units will be handed over by August 2019, ready for a full house in the next academic year. During the visit, CIOB members took a tour of the delivered phase of the project and those areas of the building which are still under construction. Whilst enjoying panoramic views across the City, CIOB Members quizzed Winvic’s Project Manager Martin Overfield and Laura Davison from the delivery architects RPS, on everything from the design of the scheme to the challenges of working within a live operating environment.